Your teeth and your smile are amazingly important. So when something is not right, it can greatly affect your life. But we’re happy to say…you can feel good knowing that we understand all of the common dental problems — from stained teeth to bleeding gums — and we have solutions that will work for you and your family in a convenient location and a comfortable environment. These are all problems our dentists are experienced and trained to handle. In the rest of this article, we’ll explain how we regularly fix these problems for our patients. How can stained or yellow teeth be fixed? When your teeth are stained or not bright white, you notice — and other people may, too. You probably don’t want to smile, and you may even limit yourself from going out because you’re afraid what other people will think. Discolored teeth could even hold you back in your workplace or career. So if you have teeth that aren’t as white as you wish, don’t worry. With our teeth whitening techniques, you can soon have the beautiful smile you dream of. Our two innovative whitening treatments include ZOOM! Whitening and Take-Home Whitening with Opalescence. If you’re looking for quick — almost instant — results, then Zoom! Whitening is for you. This one-hour, painless, affordable treatment can give you breathtaking results. Visit our office on your lunch break and leave with a newfound confidence. Or maybe you’d like to whiten your teeth on your own time? With Opalescence, you can do exactly that. Our dentist, Dr. Rayek, will provide customized whitening trays and whitening gel, and you can use them at your own convenience. You’ll see results as soon as your first night, and the gel will also help strengthen tooth enamel, fight cavities, and decrease sensitivity. Another option is to get porcelain veneers made just for you to cover some of your teeth without altering your natural teeth. Our veneers are long lasting and highly customizable. So if you have stained or discolored teeth and you want a pearly white, radiant smile, call us at (703) 997-0928 to set up a complimentary appointment to discuss your options. How can chipped or cracked teeth be fixed? Possibly, you fell down the stairs. Or you bit down on something you shouldn’t have. Or maybe you’re not really sure how your tooth got chipped. This is not an uncommon situation, and it’s definitely one we can fix. The great thing about porcelain veneers is that they are able to completely transform your appearance. Our veneers are made from porcelain because it’s a strong and stain-resistant material. Usually, we place veneers on the front teeth of our patients because these are the teeth people see. So reach out and let our skilled cosmetic dentists transform your smile. What should you do if you have a toothache? If your tooth is hurting, it’s important to come see our friendly staff very soon. Your toothache may be due to a minor problem, but it could also be more serious, and no one wants to suffer more than they have to, especially not mouth pain! Tooth extraction. This means we safely pull your tooth and provide the relief you need. Root canals. With root canals, we are able to prevent your tooth decay from damaging the center of the tooth, and we save your tooth by sealing it to help repair its core. Crowns. Your tooth pain may be due to a severely decayed or worn down tooth, and if so, dental crowns might be the perfect solution. 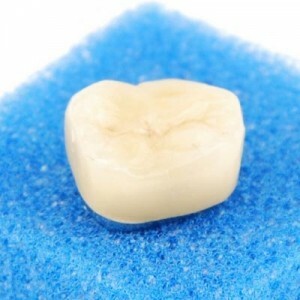 With our advanced technology, we customize and create crowns right here in our office. We are proudly one of the first dentist offices in the Fairfax area to use this technology. We know you will be happy with your durable, long-lasting crowns. TMJ treatment. Your TMJ joints are the joints and jaw muscles that make it possible to open and close your mouth. They work together when you chew, speak, or swallow. If you have any problem that prevents this complex system from working properly, you may have a painful TMJ disorder. And we can help you. We can provide lifestyle changes to ease your pain, or you may need medications or a night guard. Another service we provide is sedation dentistry. So if your pain is serious or you’re afraid of the dentist, we have the answer to help you relax and feel comfortable before and during your dental appointments. We know you don’t want to suffer any longer. Can your unattractive smile be fixed? Yes, it can! We have all the solutions you may need, from teeth whitening to dental implants. Whatever the reason you don’t love your smile, we can fix it and leave you feeling happy to show off your beautiful teeth. In addition to porcelain veneers, dentures, full or partial, are another option if you’re missing one or more teeth. And if you’re suffering from gaps between your teeth or problems with your bite (underbite or an overbite), Invisalign will give you the results you’re looking for. Even better, our office is in the top one percent of all Invisalign providers in the entire United States. Also, if your unattractive smile is due to malocclusion, we can fix that, too. All you need to do is give our office a call and set up your complimentary visit. Call us today at (703) 997-0928. What should you do about swollen and bleeding gums? Have you noticed that your gums are bleeding regularly or that they are swollen? This could be a sign of gum disease, a problem that should not be taken lightly. So if you notice these problems occurring often, it’s very important for you to visit a dentist as soon as possible, especially if you want to keep all your teeth. Gum disease is an infection of the tissues that surround and support your teeth. Depending on the stage of gum disease, our dentists will determine which treatment methods are best for you. Swollen and bleeding gums may be serious, so please call and talk to our friendly staff about setting up an appointment. Can my uneven teeth and bad bite be corrected? If you have a misalignment problem, called a malocclusion, it can lead to serious complications. Malocclusion means you may have crowded teeth, a crossbite, an overbite, an underbite, or an open bite. To correct these problems, we may remove some teeth, give you custom Invisalign braces, or provide some other treatment option. TMJ treatment may also be necessary if our dentists determine that you’re suffering from these types of problems. But to help you, we need to see you. Give our office a call and set up your complimentary appointment: (703) 997-0928. What if I’m missing teeth? Not having all of your teeth can be an embarrassing problem, but with dental implants or dentures, you’ll soon be happy to smile widely and laugh freely again. Dental implants are artificial tooth roots that act and feel like normal teeth. Or if you’re missing more than a few teeth, full or partial dentures may be better for you. But please don’t think your dentures will look fake. With our advanced materials and techniques, your smile will look beautiful again. Contact us and ask any questions you may have about these treatments or any oral health concerns. What if I fear the dentist? If you’re afraid of the dentist, please don’t feel like you’re alone or that you don’t have options. This type of fear is surprisingly common, and that’s why our dentist office offers safe and effective sedation dentistry to ease your fears and relax you before and during oral treatments. If you suffer from dental anxiety, you can feel confident that our sedation dentistry will help you. Dr. Rayek has performed hundreds of cases of conscious sedation and is a member of the Dental Organization for Conscious Sedation. We also work closely with board certified anesthesiologists of the Horizon Anesthesia Group to offer full sedation for our patients who wish to be fully asleep during dental treatments. At Smiles at Fairfax Corner, we want our patients to look and feel their best. 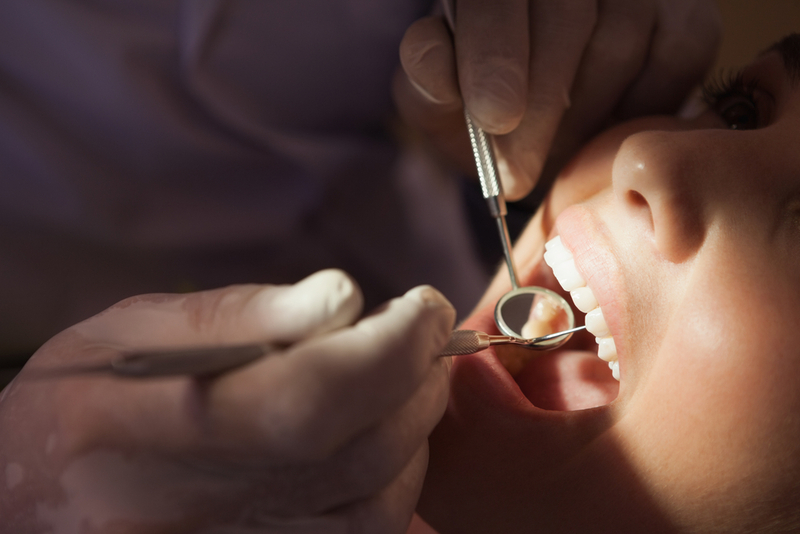 We offer general, cosmetic, and restorative services. We take care of common dental problems and other issues, too, such as sleep apnea treatment and gum grafting. So if you no longer want to suffer from a not-so-beautiful smile, our professional staff would love to talk to you today. Call (703) 997-0928 and discover a dentist you can trust.